The quick answer to this question is, almost never. Seriously, honestly, well and truly, don’t use Google Image Search when you’re looking for the next perfect image for your personal or business project, be it a blog post, a logo, a website header, or what have you. No matter how perfect that image you’re looking at is, it’s not yours to use. At all. Not even half of it. There are hundreds of both free and fairly affordable subscription service sites that will give you access to millions of just-as-beautiful images available for your use, however you please (as long as it abides by the photo owner’s term and conditions of course.) Google Image Search is not your friend on your quest for the best. It can very well be your worst nightmare, and should be left to it’s original intent of ogling at Bey’s latest celebrity photos. Why the Warning to Not Use Google Image Search? I have this constant battle online with one of my favourite bits of artwork that I made years ago, one that has evidently become a fan favourite for my fellow Torontonians. So much so, that I’m more thoroughly familiar with the DMCA filing process then I ever wanted to be. Wait, What Does DMCA Mean? DMCA is the Digital Millennium Copyright Act, and one of its many purposes is to uphold a copyright safety-net for artists that want to showcase their work online. Whether the written word, photographs and illustrations, music, etc, if there is proof that Mr. and/or Mrs. BS is using someone else’s work online for any means at all, the website hosts managing the copied content can remove the offense from their harddrives. It may be an American law, but most offenders tend to use hosting companies that are on American soil anyway. If DMCA didn’t exist? My images would look like this. Fugly, right? My utopia is a world where we can share our works freely without someone trying to use it for their own personal gain. And I get this is a moment of do as I say, and not as I do, because I did once write an article on how to watermark your photos easily, and why you should. When I had created that Toronto Skyline piece, I did not imagine real estate agents, local rappers, and web/branding designers, among other professions, wanting to use my artwork to showcase their love of our city, or simply neon-sign the fact that they work in the area. Honestly, I do understand the draw to Google Image Search. Especially when the culprit is an invincible teen, who doesn’t truly get the idea that not everything on the web is theirs for the taking. I get that the internet is a particularly huge place to be in, so what’s the harm right? It’s just a picture. No one will see. Except that I do, and there is harm. I’ve sat at my desk countless times throughout the past year or so, telling people to lay off my work. Its something that took a lot of time and love to create when inspiration struck, and to see it being bastardized, particularly as a pixelated selling point for someone else’s business, it hurts. The dumbest thing you can do though, is think that you really are invincible when doing this. Especially if I’m involved, because between you and I? I excel at online sleuthing. If there is a way to find needed info online, I will find it. I’ve stopped contacting these people directly IF the culprit isn’t outright making money by using my image. If I know the website hosting company is quick to fix the issue, I’ll contact them directly through their DMCA department first and have the offender get a surprise email that my content has been removed from their site. I’ve stopped quite a few local bloggers from using this image for their site design by filing a DMCA, and hope their site is still active despite the file. Bloggers come and go unfortunately, and its easier for me to file a DMCA instead of wait and hope a blogger will see my request for a website that they might no longer use. Alternatively, if the offender is a company, using my image on their sales site, they’ll be the happy recipient of an invoice by me for a 1 year licensing agreement, with room to discuss future licensing needs if necessary. Contacting these people has certainly been a fun ride though. I’ve had one notable person threaten to sue me for my request to pay a licensing fee for continued use of my image as their logo. Citing my request as nothing more than a money-making scam. Good times those days were. I didn’t back down despite the threats, and I’m almost but not really curious to know what they use for their logo now. I just hope they learned their lesson. Let’s put it in this extreme way… my Toronto Skyline art might not be art gallery quality, but its worth more to me than the Mona Lisa, because its mine. And apparently I don’t like other people playing with my toys, unless I state otherwise (like when I offer free adult colouring pages for anyone to print and enjoy.) That might be my downfall, but I’ll own it. It’s my choice, and no, I won’t be swayed. You can get hit hard if you’re caught using someone else’s work on your website. Some photostock companies have a dedicated team to search out those using their images found from Google Image Search, among other places, and smack these offenders with fines worth thousands of dollars from their well-paid lawyers. Don’t believe me? Read how this blogger wound up with a $7,500 fine for simply using someone else’s picture of a green pepper on her blog post. If this isn’t your first time here, then you know I’m not going to leave you with this warning and not share alternatives with you. Use this list of sites, showcasing all the high-quality photos you could possibly need as your start your journey of using images in a safe, sane, and consensual environment. – you can use these gorgeous photos for virtually anything you want, even commercially. – high quality stock photos that you probably won’t find being used elsewhere. 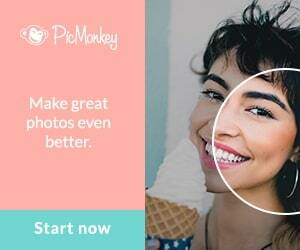 – boasts adding 20 new quality stock photos available for your use freely. Now honestly, after checking out these amazing sites that provide free or cheap images, WHY would you use Google Image Search in the first place? You can get much better quality photos in that list above easily. There are even pretty images of green peppers. Thank you so much for this! It is a great logo you got too. I’ve been looking for new designs and images to use myself. As a new blogger, I thank you for this information. I was wondering how bloggers get great pictures and appreciate the ones you have recommended. We’ve always had a policy of only using our own photos or in the rare occasion, stock photos provided by the client. You can also upload provided photos to Google Image Search to make sure they are actually owned by the client. There are so many free image sites with great free images. Copyright is serious. Simply don’t steal someone else’s work. That’s just not cool. I am tagging this post for the great free photo sites. I have even started paying someone to do some of the photos if I don’t take originals . I better double check she is using the right ones. Actually, that’s a great point. Many people I have spoken with directly about removing my image from their sites say that it was their friend/intern/coworker that made their banner/logo and they didn’t have a clue it was an stolen image. I have never used anyone’s images and this is quite interesting. I never thought of anyone taking mine. This is great info. I’m so sorry you have to go through this! Its not fair! Your work is beautiful and you deserve to have recognition or at least consent!! I hope everything works out and thanks for this great reminder! I think if you aren’t a creator of images, it’s largely about education (which is why your post is helpful). It’s easy to not think about where that image you want to use came from, but when you’re the creator of an image and find it somewhere without your permission, you suddenly realize why it’s not so cool. Great information for all bloggers and content creators! Just because it’s online doesn’t mean it’s a free for all. I use Pixabay a lot, I’m going to check out Fotolia. Thanks! YES! So true! And as a teacher I find that students use google images and don’t cite the right source so it’s not at all what they should be using. Love this post. Sharing for others to read! You are so right! I don’t really believe in stock pictures, as you can clearly see where they’re from. I am an amateur photographer and I always choose the option of taking my own pictures instead of buying, unless I have no choice and I’m looking for a concept or something I can’t do myself in photoshop. Whatever happened to having a copyright symbol? For those in the dark, it’s a circle with a “c” inside of it. With that displayed, you knew it’s use was limited and damages could be assessed. Even in that section, Google still states, “Images may be subject to copyright.” You touched upon a key point though – attribution. Even if you select “Free to use, share, or modify, even commercially”, checking license agreements still needs to be done with these images, and I feel that this option might have casual users feel like there wouldn’t be a need to do so. Those images are free in a sense, but there is a very good chance that the wanted image will require some form of textual credit, and the user could get into trouble legally if they don’t add such text. There may be other conditions too, that aren’t readily noticeable, unless the user actively searches for license information. Another image attribution trail, through Wikimedia, led to a condition of “no text allowed on image” as part of it’s license agreement, which doesn’t fully stick to the “free to modify” bit of the agreement that Google indicated was possible by selecting that option. If conditionals aren’t met, then the user is liable to receive a DMCA notice (or worse). So, if a person is diligent about attribution information, and always double checks that Google wasn’t in error with the image listing, then yes Google Images could be a good place to look. But, I feel that many who are looking for images to use freely don’t go that extra step for full clarification of license rules before downloading the image directly from Google. I may be cynical in this thought, but I’m fully convinced that most people would unquestioningly believe Google when selecting “Free to use, share, or modify, even commercially” (if they would know to do so in the first place,) without any further research into the copyright conditions. Hey I’m a teen and I’ve seen that almost everything from Google images is “subject to copyright” but still many people use these images as their posts or for other social work and even I also sometimes use these images for my school work , so plz suggest me any legal way of using these images as my posts or as my school work.